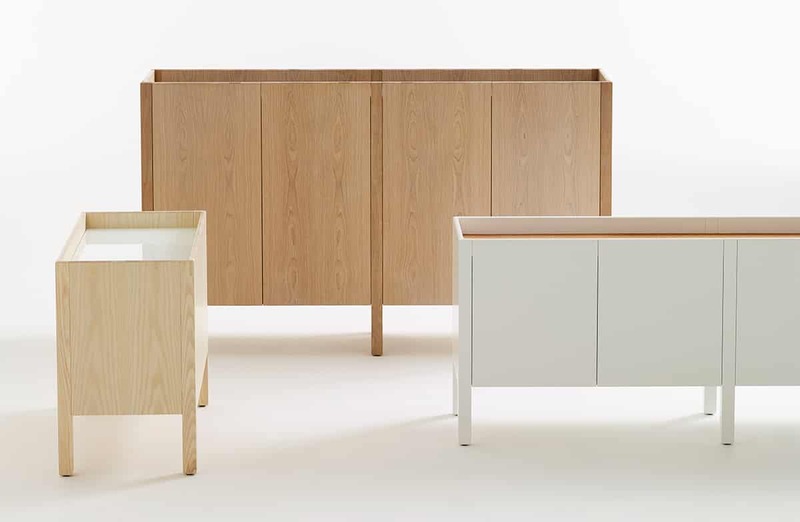 The idea behind Upper cabinet is that the top functions as its own framed surface. Upper’s exquisite detailing includes mitred corners and gently rounded, solid wood edge strips with standing annual rings. An attractively finished rear panel makes the cabinet ideal as a room divider. The doors, which project above the cabinet itself, can be used as handles. The cabinet is available in two widths and heights. Upper can be used as a divider in a room, behind a sofa or along a wall. Anton designed the coffee table Puddle 2017 for Karl Andersson & Söner.